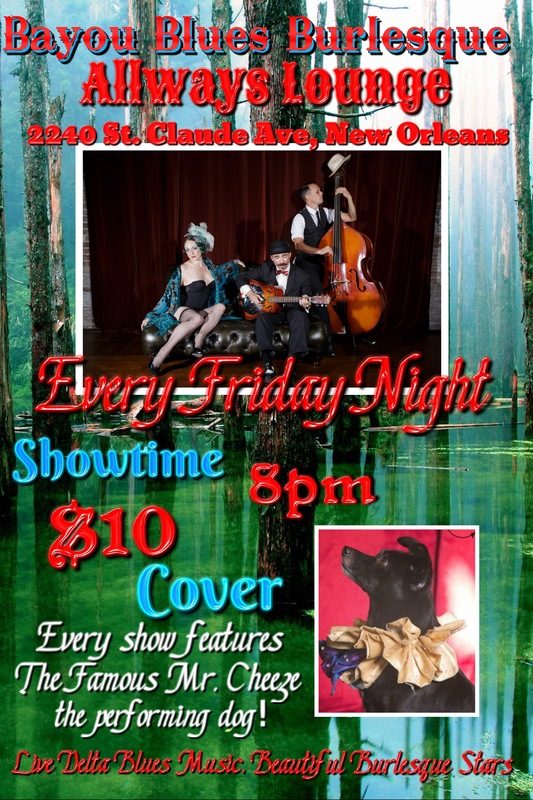 Every Friday New Orleans Burlesque with Live Delta Blues! 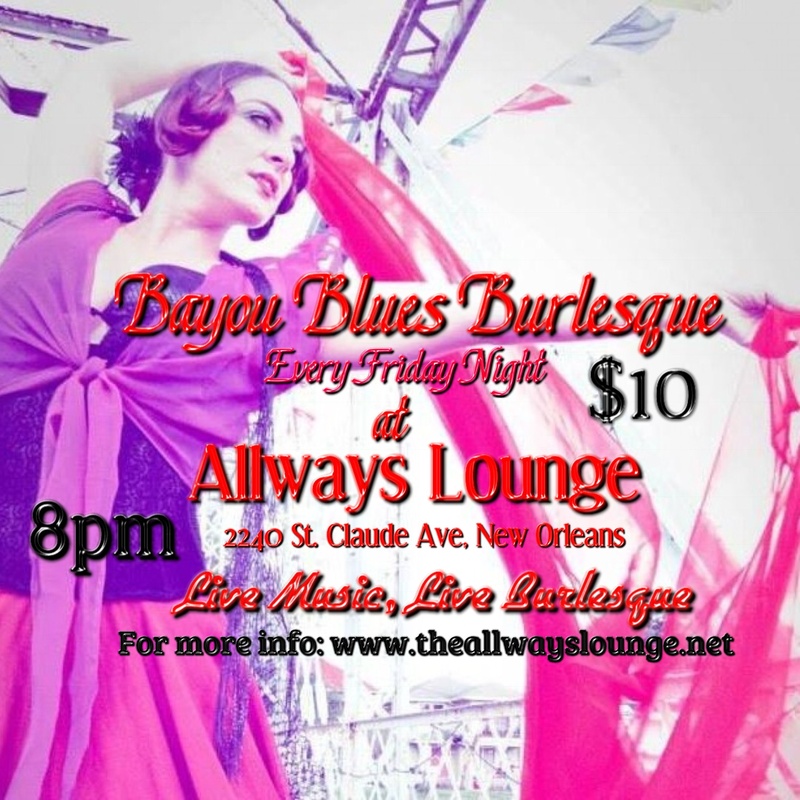 New Orleans Burlesque combines with live Delta Blues to create an extraordinary event every Friday Night at Allways Lounge. 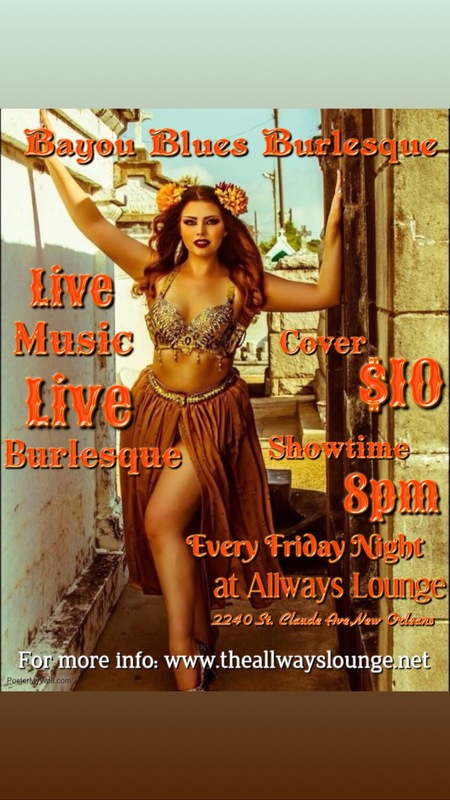 $10, 8pm, every Friday!